Across the world, an estimated 45 million people are enduring experiences that are horrifying in their inhumanity and international action is required to eradicate this modern day slavery. Extensive investigative knowledge in modern day slavery as Senior Investigating Officer and Intelligence Manager in major overt and covert investigations. I have experience in the establishment of multi-agency support networks and the policies and procedures required to underpin them. Guidance on investigations into Modern Day Slavery and Human Trafficking and on the creation of Multi Agency networks. Advice on the development of a Victim or Survivor Pathway incorporating a bespoke Multi Agency Risk Assessment Conference (MARAC) for potential victims of Modern Day Slavery and Human Trafficking. Provide expert witness testimony and advice to legal teams involved in cases of Modern Day Slavery and Human Trafficking. 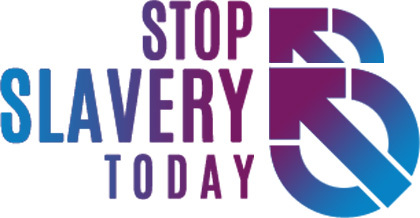 Guidance and advice to statutory agencies and Government departments on Modern Day Slavery and Human Trafficking including the production of research reports. It is estimated that there are up to 45 million victims of modern slavery worldwide. A cross jurisdiction crime - just like the trafficking of drugs, it is run by criminal groups that evade prosecution because law enforcement face the obvious challenges brought about by criminals networking across borders either physically or via the internet. We owe it to the innocent men, women and children who are being tricked or coerced into a life of hard labour and other abuses to rid the world of this evil. We need world leaders to challenge their respective law enforcement to join forces with others and come down hard on the organised crime groups and free victims of modern day slavery. This will require joint investigations, data and intelligence sharing and multilateral prosecutions. We know that increased co-operation across borders delivers results with long sentences for the perpetrators and freedom with recompense through the seizure of criminal assets for victims. Prosecuting and disrupting individuals and groups responsible for modern slavery. Preventing people from engaging in modern slavery crime. Protecting vulnerable people from exploitation and increasing awareness and resilience against this crime. Reducing the harm caused by modern slavery through improved victim identification and enhanced support and protection. Advice on designing and delivering anti slavery training. Guidance on investigations into Modern Day Slavery and Human Trafficking, including large scale investigations into Organised Crime Groups committing such crimes. Guidance and advice on the creation of Multi-Agency networks. Advice on the development of a Victim or Survivor Pathway incorporating a bespoke Multi Agency Risk Assessment Conference (MARAC) for potential victims of Modern Day Slavery and Human Trafficking. Provide expert witness testimony and advice to legal teams involved in cases of Modern Day Slavery and Human Trafficking. Guidance and advice to statutory agencies and Government departments on Modern Day Slavery and Human Trafficking including the production of research reports. Media and advocacy; including the support of documentary and film making and other journalistic reporting or projects on the subject. Providing UK industry sectors with advice and guidance to understand their responsibilities and best practice associated with tackling labour exploitation in supply chains in compliance with the Modern Slavery Act 2015.